An analysis of the past 20 years of grand-slam events reveals that men have been handed 1,534 code violations, versus just 526 handed to women. Because of the overwhelming disparity in the rate of code violations, men lead most of the types of violations, such as racket abuse. Williams received one of her violations for smashing her racket, but over the past two decades, men have received 86 percent of the racket abuse code violations. The odd one out is coaching violations, which kicked off the whole controversy. Umpire Carlos Ramos believed Williams’s coach Patrick Mouratoglou, watching from the stands, was giving her hand signals. It’s illegal to receive coaching from the stands. 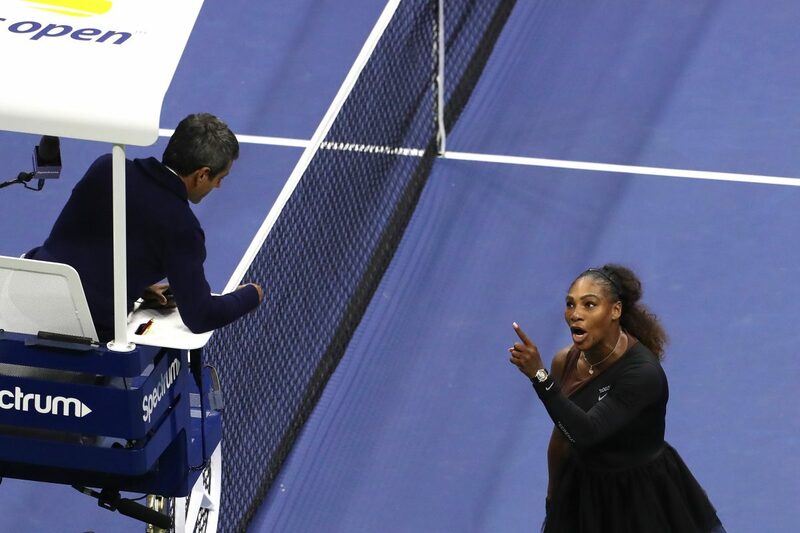 Williams became upset when accused of receiving coaching and smashed her racket before berating Ramos. Mouratoglou admitted to coaching Williams from the stands but claimed that everyone does it. The statistics show women are almost twice as likely as men to receive coaching violations. According to the Telegraph, such violations have risen since 2009 among women after the Women’s Tennis Association began allowing a coach to visit his or her player at one changeover per set. Ramos was scheduled to umpire at the Davis Cup in Croatia, starting on Friday, Sept. 14. Williams’s sexism charge was backed initially by Katrina Adams, the chief executive for the United States Tennis Association. But on Friday she was pictured speaking with Ramos and Associated Press (AP) journalist Andrew Dampf reported that she apologized to him. “Adams overheard apologizing to chair umpire Carlos Ramos for the fallout from US Open final at draw for Davis Cup semifinal draw between U.S. and Croatia in Zadar,” Dampf wrote. A number of other individuals and groups have backed Ramos, including the International Tennis Federation. Ramos told the AP that he was focusing on getting back to work. “I’m just focusing on this tie and working again. That’s all I can say,” Ramos said, declining to discuss Adams’s apology.